← Getting funds not easy, but this time we were fortunate! 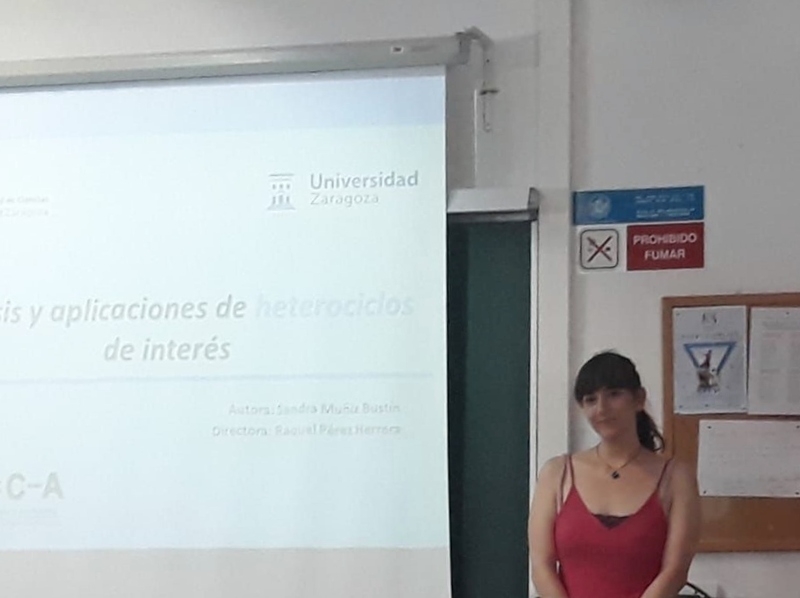 Last wednesday, Sandra presented her Bachelor thesis entitled “Synthesis and applications of heterocycles of interest”. She did it excellent. Congratulations! This entry was posted in B.Sc. Thesis, Defense, Heterocycle, Organocatalysis, Raquel P. Herrera, Thiourea and tagged 2018, B.Sc. Thesis, Heterocycle, Organocatalysis, Raquel P. Herrera, Sandra Muñiz Bustín. Bookmark the permalink.